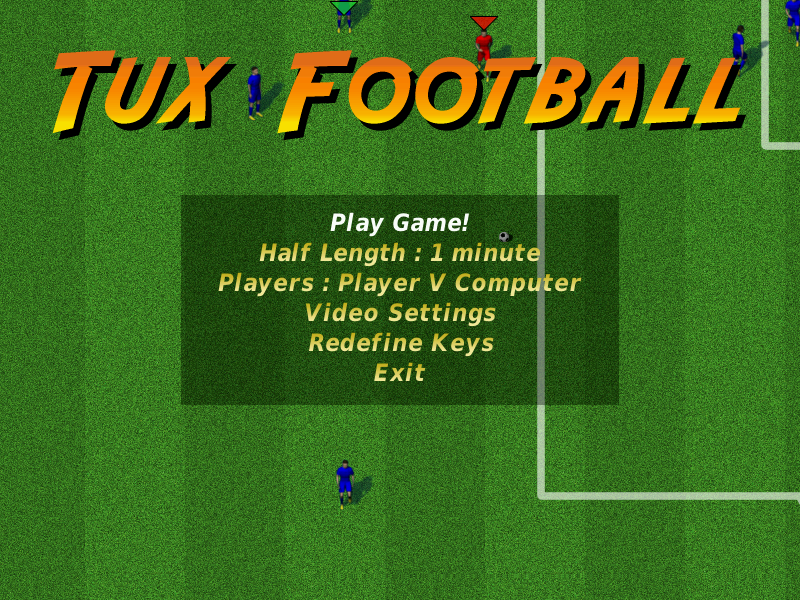 Tux Football is a great 2D soccer (sometimes called football) game for Windows and Linux. It's bringing old style gameplay from DOS times back to the desktop with up to date graphics! It's gameplay is similar to old classics such as Amco's Kick Off and Sensible Software's Sensible Soccer. The gameplay is designed to be quick, responsive and fun. You are always in control of the player closest to the ball. The ball is controled via two differentn kick buttons - one for pass, and one for shoot. Aftertouch can be applied to shots by quickly pressing and holding the direction you want the ball to bend towards. Pushing in the opposite direction to what you kicked the ball makes it raise into the air, pushing in the same direction as the ball makes it dip towards the ground. The Buttons can be configured in the game.